Wedding Photography – What is a first look, and should you do one? Maybe you’re considering doing a first look, but aren’t sure if it’s right for you. Or maybe you met with me and I asked you if you wanted to do one and you had no idea what that was. So let’s talk a little more about what they are, how they work, and if it fits with how you envision your wedding. 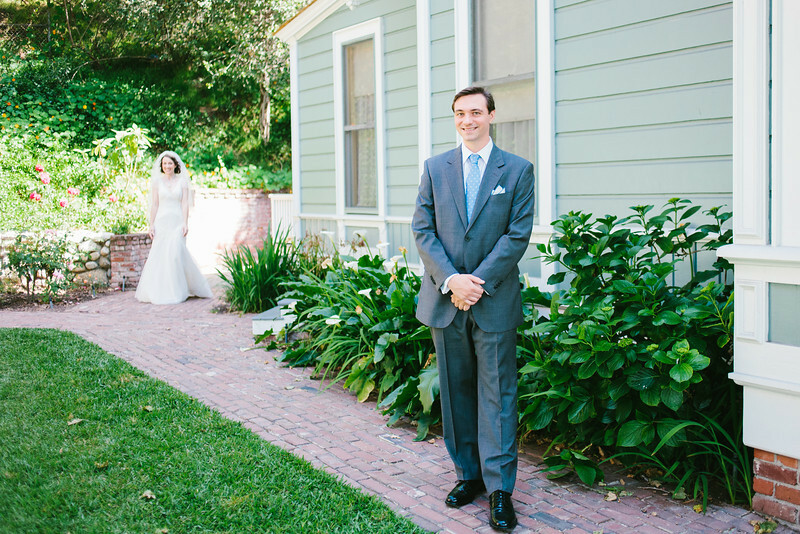 A “first look” is a somewhat newer concept where the couple see each other before the wedding ceremony instead of the more traditional timing of when the bride walks down the aisle. 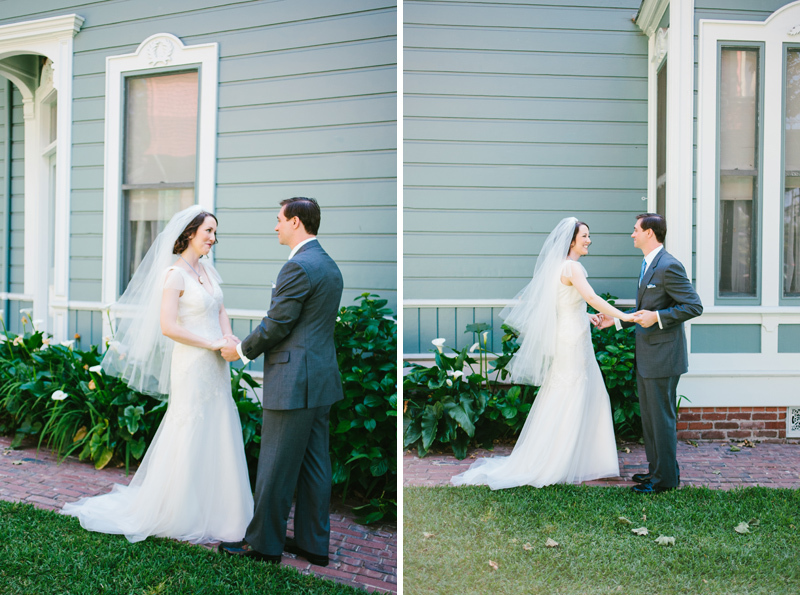 The moment of seeing each other for the first time on the wedding day is often very emotional. Some couples like the bigger buildup of having a dramatic reveal at the beginning of the ceremony. But some couples who are shy about being the center of attention might prefer having a more private moment with just the two of them before everyone else gets there. Either way can be great, meaningful, and emotional – it really comes down to your personalities and preferences. If you decide to have a first look, once both partners are dressed and ready, I’ll pull you away to a more secluded area of your venue and position you to see each other, capturing it discretely so it can still be a moment between the two of you. 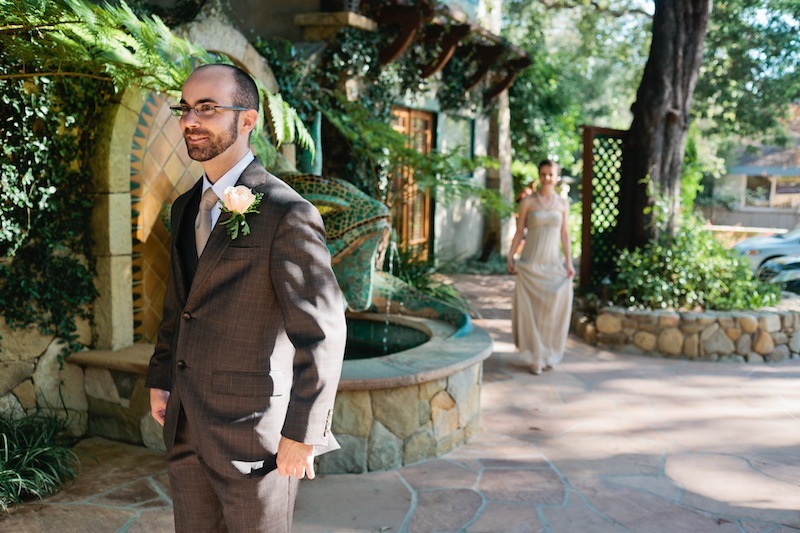 Opting for a first look can also help with scheduling your day if you have timeline concerns. Many couples having late afternoon or sunset ceremonies will choose to have a first look earlier in the day and then family and bridal party portraits directly afterwards while there is still lots of natural daylight. This allows couples to enjoy more of the cocktail hour with their guests after the ceremony instead of taking the group shots during that time. If you’re still on the fence of whether a first look is right for you, get in touch with me and we’ll discuss the pros and cons, the timelines and concerns, to make sure you’re happy with only the best options for your wedding! I love this explanation, and I love first looks! Really like what you're doing there. 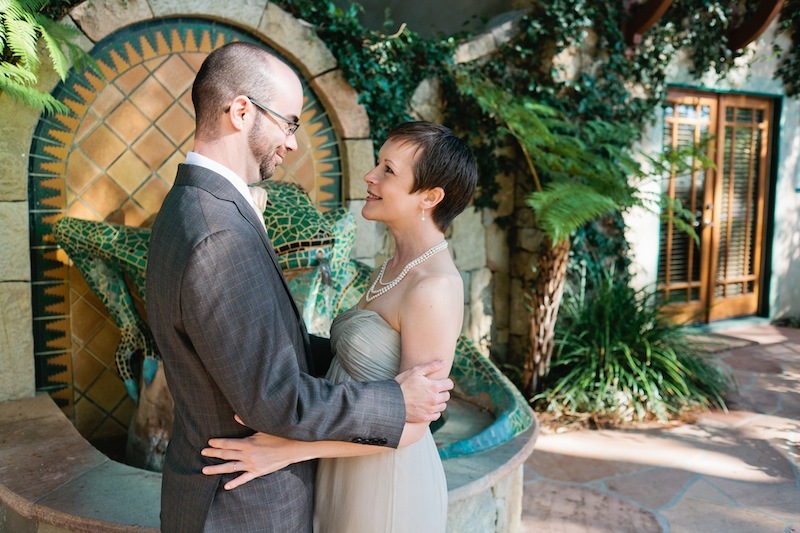 Love the shots of the lady with short hair and the gentleman with glasses! It's not a wildly popular thing to do here in the UK but I think it's beginning to catch on more and more. I think you can catch some pretty special moments like this!